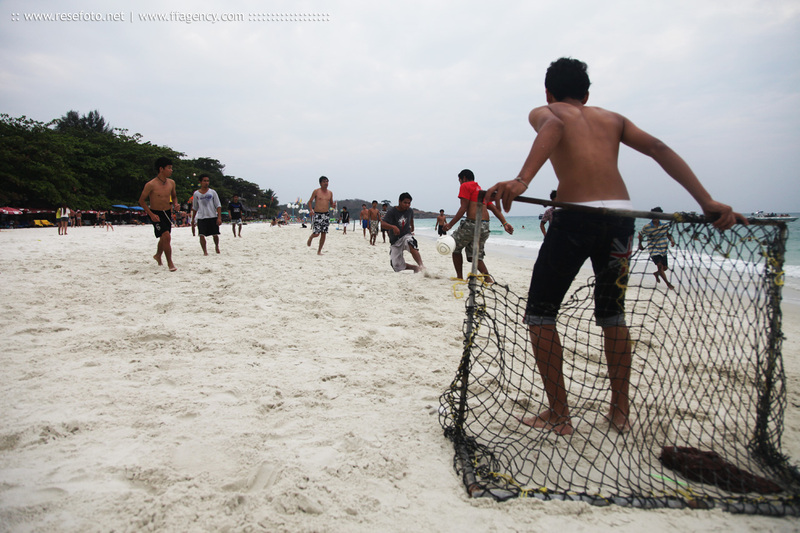 Beach football or beasal, is a variant of association football played on a beach or some form of sand. The game emphasises skill, agility and shooting at goal. Photo from Ko Samet, Thailand, by Anders Thorsell.